AnnMarie is growing up fast. After years of living in foster homes and homeless shelters, the twelve-year-old girl can take care of herself and her ailing mother. 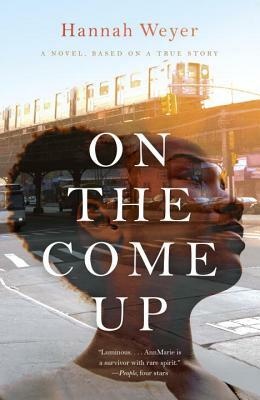 At thirteen, she's competing with other girls for the attention of older boys in the hip hop and rap scene of Far Rockaway. At fourteen, she is in love and pregnant, but dreaming big. Taking a chance, she auditions for an independent film and—astonishingly—lands a lead role. As she tries to raise her baby girl and make sense of her relationship with her baby's father, her work on the movie offers AnnMarie a doorway to a wider world—Brooklyn, Manhattan, and the Sundance Film Festival. With cinematic pacing and a vibrant voice, filmmaker Hannah Weyer’s unforgettable debut novel is a portrait of a tough, determined teenage girl striving to find the life she wants and the love she deserves. "I couldn't put this book down. This world, this voice, this young woman are all so vividly raw and honest, that my heart was broken open, and I was hooked until the very last page."